Only three posts for you guys this week because I wasn't able to blog in advance over the weekend thanks to our little weekend getaway! But, I figured I would go ahead and let this one go live on a random Thursday evening to make up for that! You're welcome! 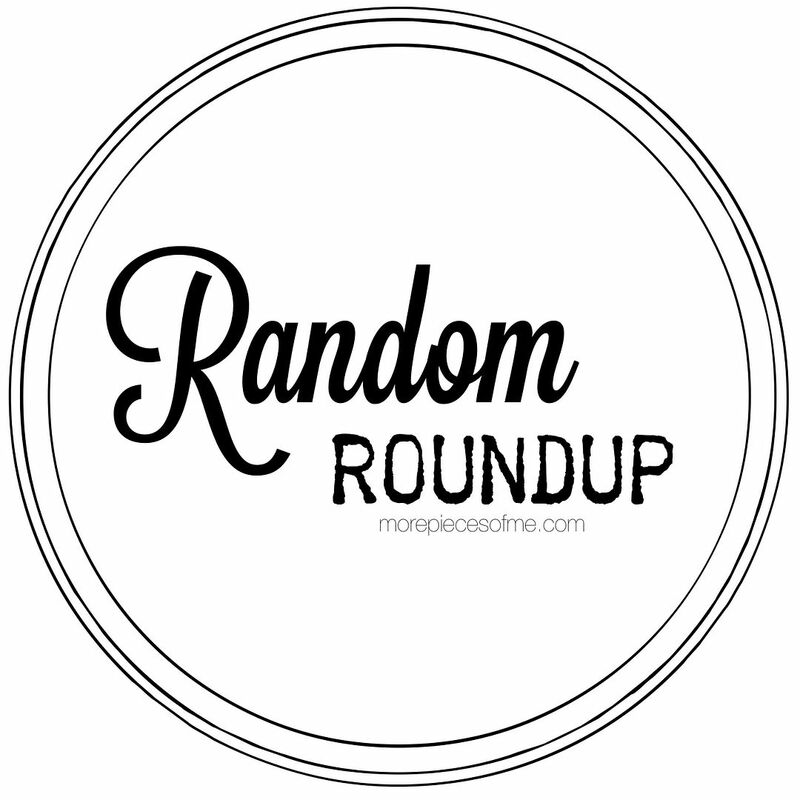 It's been a couple of weeks since I've done a random roundup post, so let's just get to it! As usual, I try to save my most recent purchases for "real" blog outfits I photograph with the "real" camera. Naturally, I still wear those recent purchases outside of blog photos as well, but in terms of real, everyday life, I am always wearing a mix of recent things and old things. Let's be real, my closet is ginormous, so I have a lot of things to go through a rotation! I will link to exact pieces that are still available and any "similar" items I happen to come across for items that are no longer available. The weather won't 100% warm up yet, which is both good and bad. We have days of wonderful weather, but then it dips back into the 50s and low 60s with rain, and I will be damned if I pull out my boots again!!! So, I try and compromise by wearing long sleeves plus skirts and closed-toed pumps. I also forgot how much I loved this skirt from last year. I always feel like a ballerina when I wear a fitted top tucked into pleated or full skirts. The strappies on my bralette as well as my pumps bookend this outfit quite nicely if you ask me! And when the weather is STILL not cooperating and I have absolutely no idea what to wear, I can always count on the stripes + skinnies + pointy toe pumps combo. Always. This really is my foolproof outfit. And these American Eagle jeans have been my favorite. They do not stretch out and stay perfectly skinny like this throughout the day, wear after wear. I now have this exact wash in two pairs because I've been over-wearing them! Admittedly, I felt like this skirt was too short for the office. The husband swears up and down that he thought it was fine, but I think I pushed the limit. That said, I definitely wasn't going to emphasize the mini length by wearing heels, so I opted for my pointy toe flats instead. I normally NEVER wear flats with skirts. Ever. It always looks awkward and stumpy on me. But the pointy shape of these made me not mind the silhouette. I also went more covered on the top, again to help balance out the mini. And yes, I cannot get enough of my leather earrings. I told the husband, "I have been wearing these earrings a lot!" And he said, "Yes... I noticed..." Almost in an irritated way! Ha! Oh well, sorry not sorry! These outfits are not rocket science, not going to lie. I mean, this is just a tee and jeans, but sometimes that's all you need and that's A-ok! My faux knot always gives my tees the added oomph while helping accentuate my waist more than a partial tuck. And in the summer, I absolutely love the chunkiest of wedges with the skinniest of skinnies! The stripes and pointy toe pumps combo also works well with skirts! The pop of pink is a foolproof touch. These are all oldies but goodies but continue to be workhorses in my closet. It's always nice to have pieces like that you can always rely on and that always make you feel good when you wear them. Express needs to re-release this skirt because it's pretty amazing. And that's all I have for you today! Hope you appreciated this post a few hours earlier than normal! Now I have to figure out dinner and take the husband to run an errand!! Have a great weekend! I love how you have been incorporating more black into your outfits lately! They are all fabulous as usual! These outfits are all so fabulous, you look so well put together every single day.